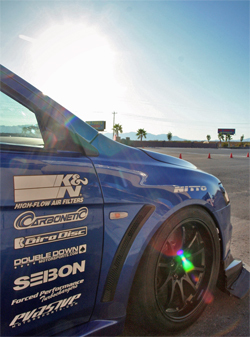 The 2009 Redline Time Attack Series, Round 7 was held at Spring Mountain Motorsports Park in Pahrump, Nevada. Pahrump is about an hour’s drive northwest of Las Vegas. Driver Ryan Gates continued to dominate the Modified Class with his 6th consecutive victory in the Time Attack Series. In addition to winning the Modified AWD and the Overall Modified Class in Round 7, Gates also secured the 2009 Modified AWD Class Championship with his win in Nevada. 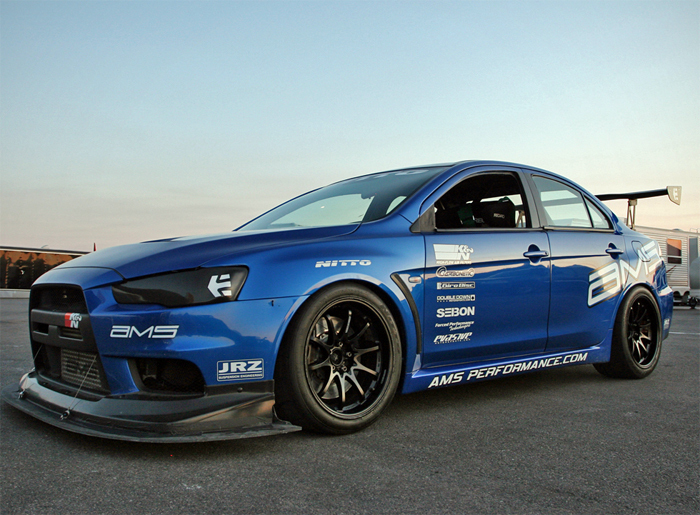 The team prepped the Mitsubishi Evo X in anticipation of a smooth track. “We went with higher spring rates on the JRZ shocks, adjusted the ride height and reinstalled the front splitter that was taken off for Round 6 of the Time Attack Series at E-Town,” said Gates. With the minor changes Gates was confident that he would be competitive against some of the fastest Time Attack cars in the United States. The practice sessions were important for Gates since it was the first time he had driven on the grueling 3.1 mile long track. Spring Mountain Motorsports Park is packed with 18 turns of all shapes and sizes and has very few straight-aways. Gates did well at practice on Saturday. On Sunday, he set the fastest practice lap time with a smooth and conservative lap. During the first Time Attack session, Gates pushed his 2008 Mitsubishi Lancer Evo X much harder than he did in the practice sessions and posted a 1:25.5 lap time. It was the fastest time for the Modified Class by 1.5 seconds. He had one Time Attack session left and knew it was important to improve his time. Gates then posted a 1:24.9 lap time which was fast enough for the victory. 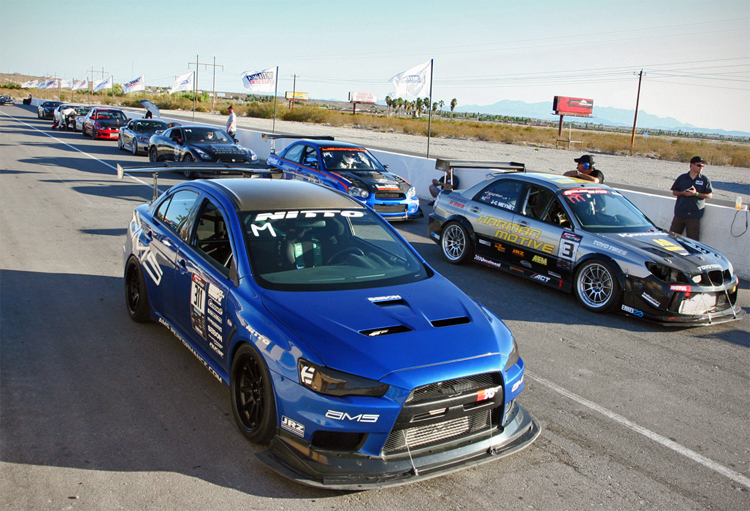 Gates will next race at the Super Lap Battle Finale at Buttonwillow Raceway in Buttonwillow, California. From there he will race at the Season Finale of the Redline Time Attack Series at Auto Club Speedway in November at Fontana, California.